The perfect addition for a seaside escape or mountaintop retreat, the Nantucket Platform Bed boasts a classic cottage style. Available in various finishes and sizes, and with under-bed storage drawer and trundle options, the Nantucket is sure to fit into any bedroom setting with ease. Dimensions 82.63 In. X 43.63 In. X 41.38 In. "I need to know the inside dimensions of this bed frame. 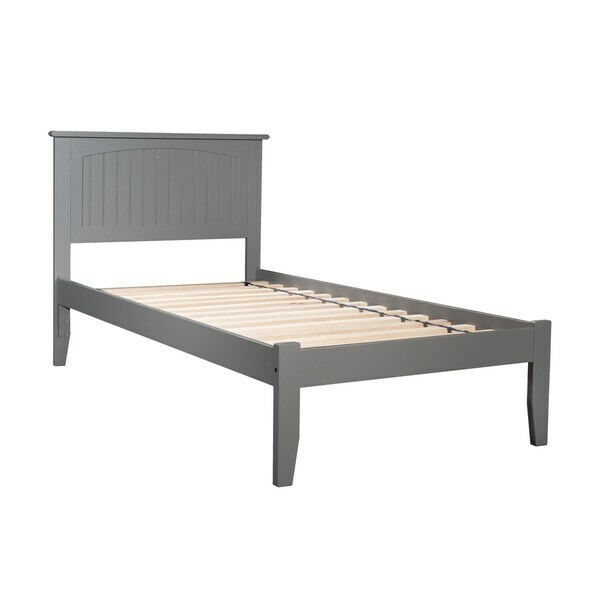 My intent is to modify it (remove Slats and slat support rail) to fit a Twin XL adjustable bed base that has outside dimensions of 37.5" x 79.5". Please advise. thanks"
The inside dimensions of this bed are approximately 82.6 inches x 16 inches x 41.6 inches. Please see the dimension image above for reference.